England host Australia in an international friendly fixture at the Stadium of Light on Friday night. An easy job for the Three Lions? 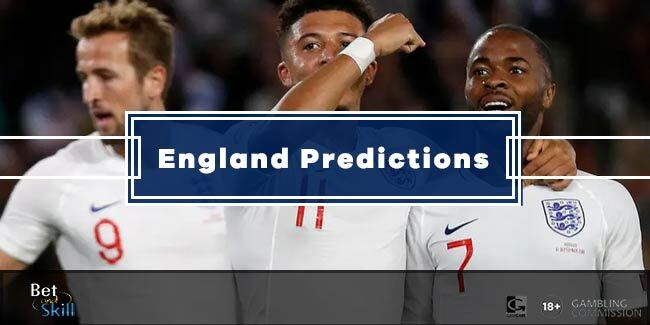 This article contains our ENGLAND v AUSTRALIA betting preview with predictions, betting tips, enhanced odds, starting line-ups, bookie promotions and no deposit free bets to bet on the Three Lions! Manager Roy Hodgson is likely to rotate his side in this one and this will be the last match for players to prove themselves before he cuts his team down to the final 23. Manchester United's sensation Marcus Rashford is in line for a debut as Daniel Sturridge suffered an injury that could rule him out of the tournament. The England manager has also confirmed Wayne Rooney will not start the match which could see Andros Townsend come into the equation. Fabian Delph is also a doubt, and Jordan Henderson and Danny Drinkwater are expected to start in midfield. Jamie Vardy is due to marry his fiancee later this week which means he will not feature against Australia. Australia, the reigning Asian Cup holders, come into this match with just one defeat in their last 13 matches after a successful but tricky first phase of World Cup qualification that included Harry Redknapp’s Jordan, Tajikistan, Kyrgyzstan and Bangladesh. They are winless in five consecutive friendlies (L2 D3) and have only won one of the last 8 friendlies away from home (L4 D3) against Saudi Arabia on September 2014. Anyway they recorded a remarkable 2-2 draw against Germany 2-2 last year. Tim Cahill and Apostolos Giannou are both absent from the squad and Jamie Maclaren is expected to play as central forward with Kruse and Oikonomidis on his flanks. Ante Postecoglu could also hand first international starts to Stefan Mauk, Brad Inman and Milos Degenek. Mile Jedinak's involvement in the FA Cup final shouldn't hamper his chances of featuring here. Friday's contest will represent the seventh time that the two teams have met on the international stage, with England winning half of those fixtures. The last fixture between the two sides was in 2003, when Rooney made his debut, and it was not a walk in the park as the Australians ran away 3-1 winners. Enhanced Price: 4/1 England to beat Australia! Enhanced odds - 6/1 England to win + £10 free bet if they dont! Price boost: 4/1 England to win + £100 bonus +refund if you lose! "England v Australia predictions, betting tips, lineups and odds (International Friendly - 27.5.2016)"